Georgette M. (Palumbo) Chiccarelli, 94, of Milford, peacefully passed away Easter Sunday, March 27, 2016 at her home. She was the wife of the late Angelo T. Chiccarelli who passed away in 1982. She was born in Franklin daughter of the late Biagio and Giulia (Rofino) Palumbo. She was a graduate of the Franklin High School class of 1938. Georgette was employed at the former Kartiganer Hat Factory in Upton for many years. She also worked for the Milford Public School as a cafeteria worker until her retirement. She was a communicant of the Sacred Heart of Jesus Church. She was active in the Milford Senior Center as a volunteer for Meals on Wheels and was an organizer for many bus trips to Foxwoods, and also enjoyed playing bingo and mahjong. 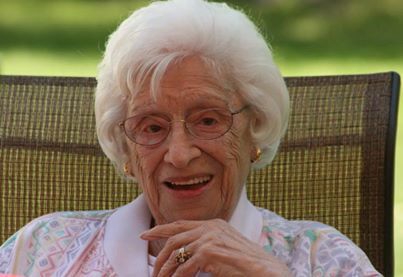 Georgette was named “Senior Citizen of the Year” in 2009. She is survived by her son Thomas Chiccarelli and his wife Mary-Jane (McBride) of Milford, daughter Patricia and her husband Patrick Bucchino of Lake Havasu AZ, two brothers Albert Palumbo of Franklin and B. John Palumbo of Mendon, one sister Gloria Marino of Franklin, seven grandchildren, several great-grandchildren and many nieces and nephews. She was predeceased by her sisters, Frances Pratt and Anne Manella. The funeral will be held Monday, April 4, 2016 at 9 A.M. from the Consigli-Ruggerio Funeral Home 46 Water St. A Mass of Christian burial will be celebrated at 10 A.M. at the Sacred Heart of Jesus Church 7 East Main St. Burial will follow in the parish cemetery. Calling hours are Sunday from 5 to 8 P.M.
May you go in peace and love to your lord georgette, knowing that you will loved missed by your wonderful family and all your friends God bless you!!!! So sorry to hear of aunt Georgettes passing. She was always the life of the party with her funny stories. A strong woman with a big heart. She will be sadly missed. Dear Tommy and Patti and all your family I was so sorry to hear of your Mother's passing she was such a great woman. She shared her love with so many she will be greatly missed by all who knew her. Patti and Tom-we just found out about your mother's passing.Our thoughts and prayers are with you.